Muzio Clementi, the father of the modern piano style. The critics of Mozart to Clementi's piano style, as we have seen in our previous paper, must not be received and considered too seriously, since, as it occurred to Mozart on many occasions, they were just rather dictated by situations of professional rivalry, which have nothing to do, in reality, with music and composition techniques. So said, one must take into consideration that in 1780s and 1790s Clementi, in any case, was more famous than Mozart, as piano performer, as piano teacher and as piano composer. 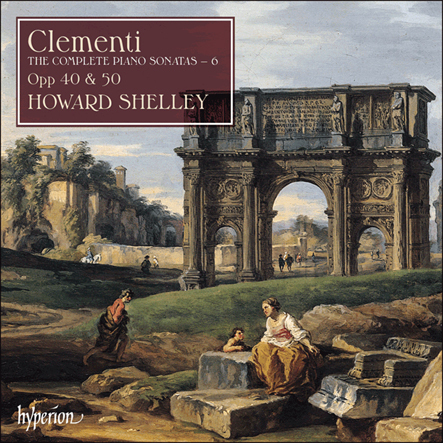 Clementi's piano style, in fact, had nothing of monolithic, but underwent a long process of development, which, in the end, led to a new modern piano style, which was made easier also by the technical improvement of the piano itself as instrument, more robust and with a better voice: the great singing of the cantabiles, developed by Clementi by listening to the opera singers, the new modern techniques of brilliant clarity on difficult passages and the lentando and rubando, unwritten on paper, as regular devices of piano cantabile and expressive interpretation made Clementi as the explorer of new regions of application of the keyboard technique, an exploration which opened the way to the new composers and performers as J.L.Dussek and especially Beethoven. For such reasons and for many others Clementi received his well deserved title of Father of the modern piano style. Even more. Many scholars, today, consider Clementi a forerunner of Beethoven and see, already in his Sonatas Op. 12 (published in 1784, when Beethoven was just 14 years old), the distinctive qualities and characteristics of the piano musicality of Beethoven. First of all, Clementi, more than others, managed to imagine the future possibilities of piano as instrument, if correctly technically developed. Then Clementi thought that all the regions of the keyboard needed to be explored accurately in their musical possibilities and that the musical qualities of the new piano had the possibility of equalling the intensity of the voice of an entire orchestra (see Beethoven and Liszt). Clementi also deemed that the expressivity of the piano performance must be outlined by intense and rapid dynamics and by the adoption and preference for sober but very sharp and intense themes, to build the compositions on. Nonetheless, the experience in Vienna at the beginning of the 1780s left an enduring impression on Clementi, who, here and there, in his future piano works, will add some Mozartian echoes, but especially he will build many works, by applying the rules of the Haydn's symphonic treatment to the treatment of the piano sonata. 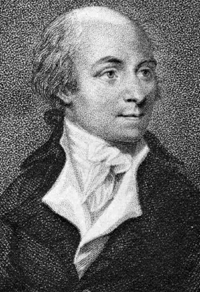 Haydn, in particular, seems a fundamental element of inspiration and of reference for Clementi in particular for the structural compositional techniques of the Sonata-Form writing. A series of 4 Sonatas by Clementi are especially regarded as the major masterpieces of his whole piano production: the 3 Sonatas Op. 40 and the Sonata Op. 50 No. 3 Didone abbandonata. The 3 Sonatas Op. 40 (1802) are considered 3 great masterpieces, which feature many dramatic, technical and compositional characteristics permeated by elements, which were going to become distinctive elements of Beethoven's musical production. In particular, according to various scholars, the Sonata Op. 40 No. 1 3rd Mvt., with its counterpoint, has a series of technical peculiarities, then typical of a Beethovenian symphonic Scherzo. The 3 Sonatas Op. 40 are so important that the scholars have assigned a series of titles to distinguish them: No. 1 is La rigorosa energica, No. 2 La appassionata, No. 3 La solenne. The Sonata Op. 50 No. 3 Didone abbandonata, inspired probably by a work by Metastasio, is well considered the highest and final point of the evolution of Clementi and of his style and of his work of research. Due to his beauty, a classical and dramatic beauty, it received the title the swansong of Clementi.